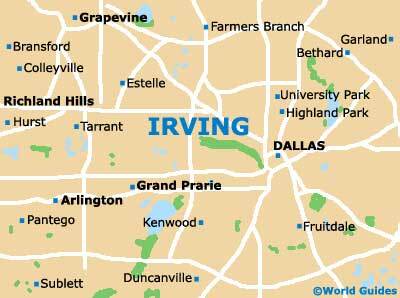 The art scene in Irving is fairly sedate and visitors to the city are recommended to travel the short distance to nearby Dallas or Fort Worth to appreciate a wider selection of art galleries. Exclusive to the city is the Irving Arts Center, which stands out as one of the best exhibition venues within these three cities and lies on the northern side of downtown. If you have time, take a trip to the Dallas Museum of Art and indulge yourself in some serious art appreciation, while in nearby Fort Worth, the Modern Art Museum stands out, together with its neighbor, the Kimbell Art Museum, which is located next to the Will Rogers Memorial. The Dallas Museum of Art is a multi-level facility featuring art work from national and international artists spanning over a century. International works include pieces from Asia, Africa and the ancient Mediterranean. Located near to the Nasher Sculpture Center and the Morton H. Meyerson Symphony Center, this facility also offers a range of art programs for students or anyone with a healthy interest in artistic media. Located within the Arts District and alongside the MacArthur Commons, the Irving Arts Center is home to two spacious art galleries that feature exhibitions by both local and regional artists. Exhibitions change on a monthly basis and cover all artistic styles and media. The Jaycee Park Center for the Arts contains numerous different gallery spaces and exhibits. These displays are hosted by the local Irving Art Association, which was established more than 50 years ago and plays an important part in the city's arts scene. Close by you will find the University of Dallas Soccer Field. A short drive from central Irving in Fort Worth is the Kimbell Art Museum, a facility featuring artistic works that are both traditional and contemporary in nature. Famous works on display include those by Caravaggio, Rubens, Monet, Picasso and Matisse. The museum also has an extensive collection of Asian art work and some smaller collections of work from Africa. The Sid Richardson Collection of Western Art is a small art facility located in Fort Worth, close to the city's Convention Center and the Bass Performance Hall. In the gallery, visitors can view some 60 permanent works by famous artists, including pieces by Frederic Remington and Charles M. Russell. 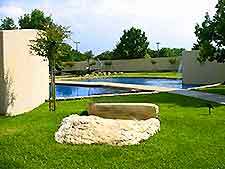 Generally known as simply the 'Modern', the nearby Modern Art Museum of Fort Worth began its life in 1892 and moved to its present purpose-built gallery at the end of 2002, where it fronts a large reflection pool. 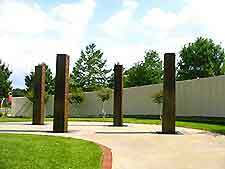 In total the museum is home to more than 3,000 permanent art works and is well known in Texas for its World War II collections. Notable artists exhibited here include the likes of Picasso, Pollock, Richter and Warhol.